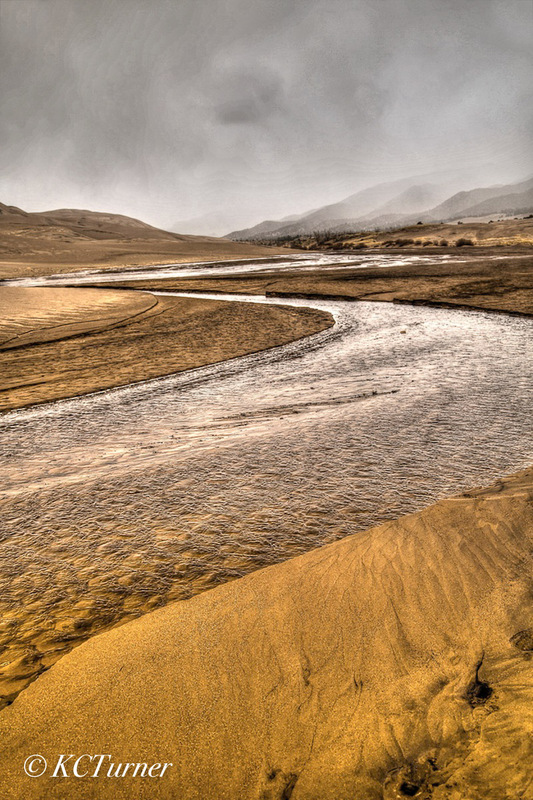 Deep behind the Great Sand Dunes, during early spring rains, you can always find a "flash stream" meandering thru the sand creating beautiful landscapes. Photo © copyright by K.C. Turner.